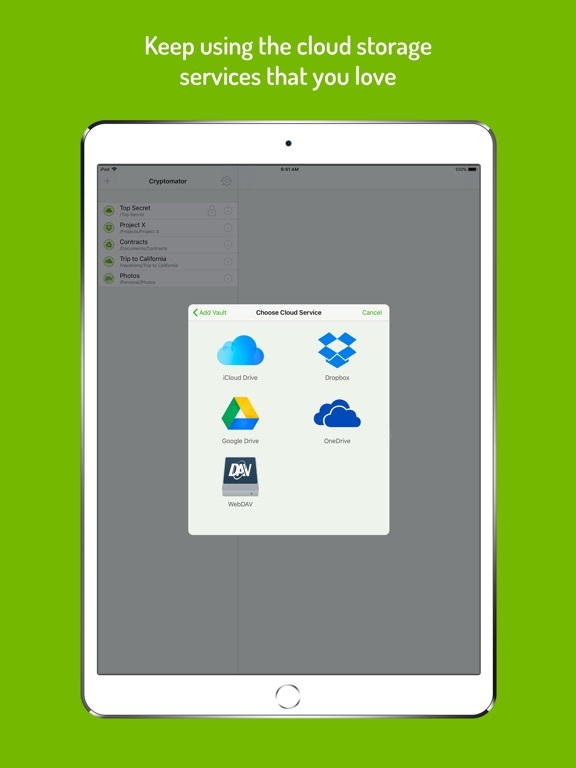 Cryptomator makes your cloud storage trustworthy. 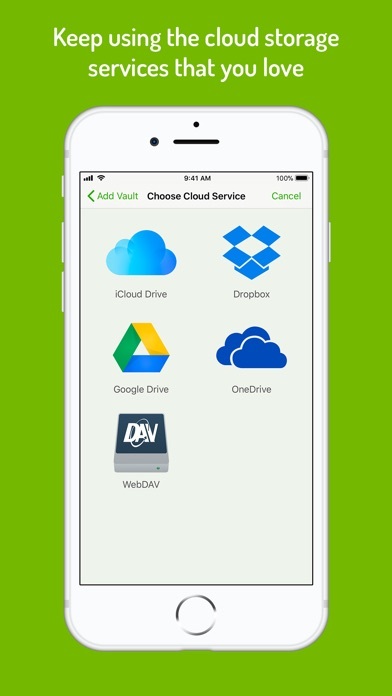 The app encrypts files on your mobile device before they are uploaded to your cloud. Even if a third party gained unauthorized access to your files (e.g., hacker attack), your files are secure from prying eyes. Cryptomator has been developed with a strong focus on user-friendliness. 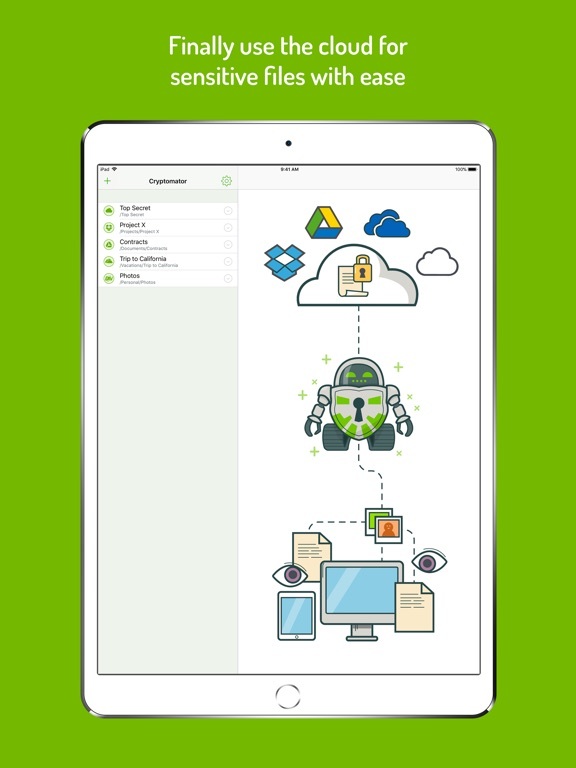 Cryptomator is compatible with the most commonly used cloud storages and available for all major operating systems. 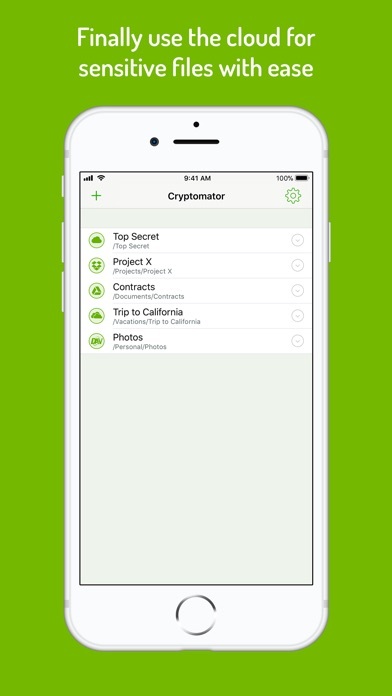 Cryptomator for iOS is based on the solid open-source foundation of Cryptomator for Desktop. 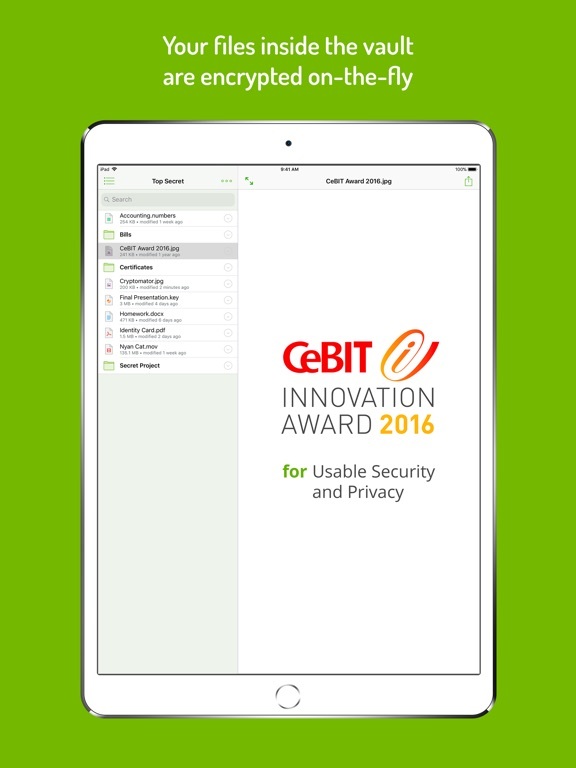 Cryptomator received the CeBIT Innovation Award 2016 for Usable Security and Privacy. 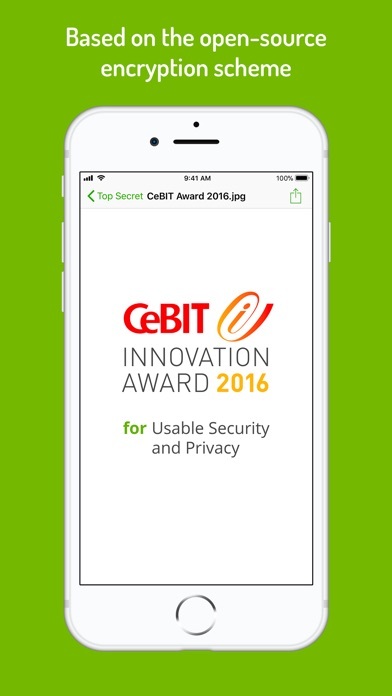 We're proud to provide security and privacy for hundreds of thousands of Cryptomator users.